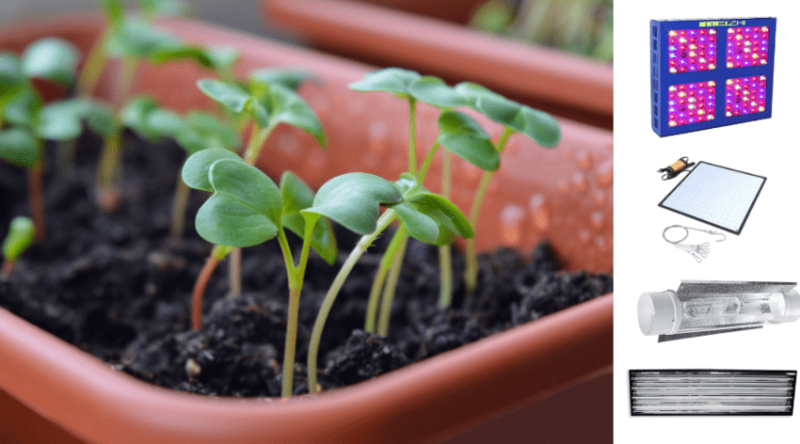 Are you an indoor horticulturist? Do you consider yourself an expert or an amateur? Either way, you know you have a lot of choices when it comes to the lights to help your plants grow. 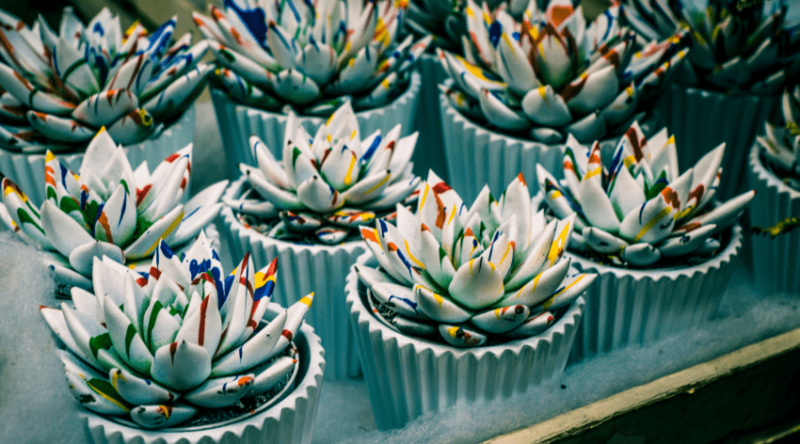 One of the growing (pardon the pun) leaders of artificial lights for indoor gardens is LED. UFO LED grow lights are becoming a big deal. The benefits of using LED include lower electricity bills, higher lumens per watt, and less heat generation. This means your plants are likely to flourish under them. So, how do you know whether a UFO LED grow light is the best one for you and what you’re growing? Read through the helpful information below to learn whether it’s right for you. And then go through the best UFO LED grow light reviews to see which of the top ones on the market you’d want. 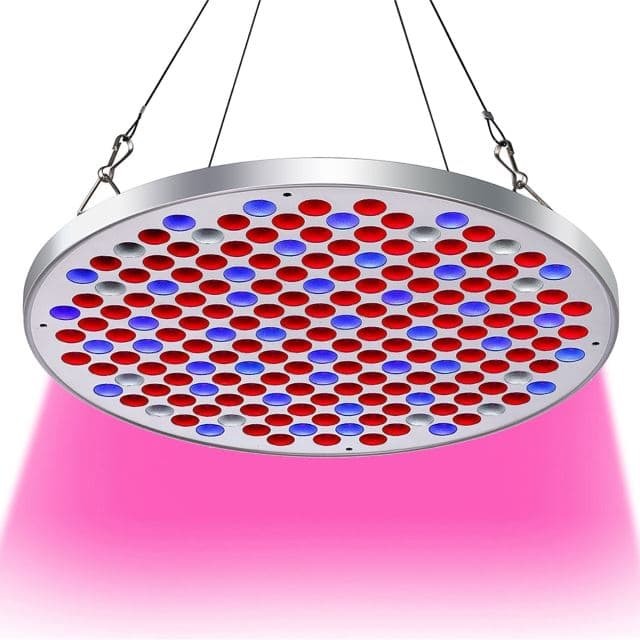 What is a UFO LED Grow Light? How are UFO LED Grow Lights Comparable to Other Lighting Options? Simply put, a UFO LED looks a bit like a UFO. It includes LEDs suitable to help plant life grow big, bushy, and strong. The round shape cuts down on the size of the lighting, but provides plenty of coverage for your plants. This is one reason why growers like the UFO LED grow lighting. 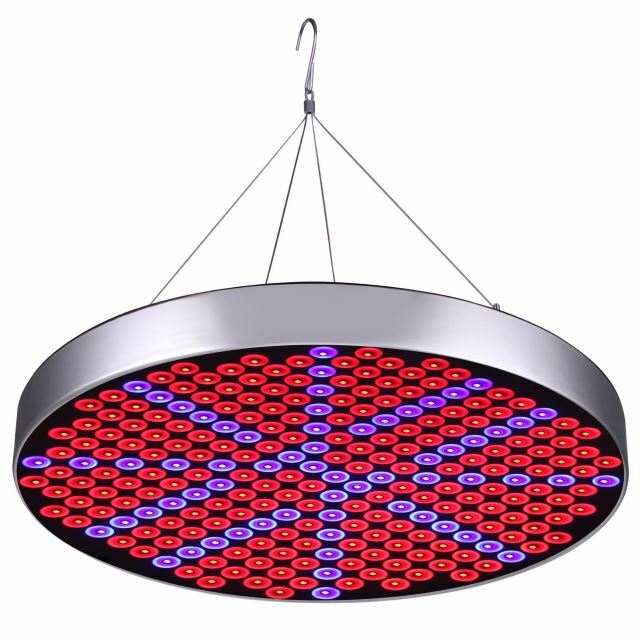 Many of the disc-shaped models available include a full spectrum of lighting for your plants. You don’t have to change out bulbs, or mix in other types of lighting to go from seed to harvest. 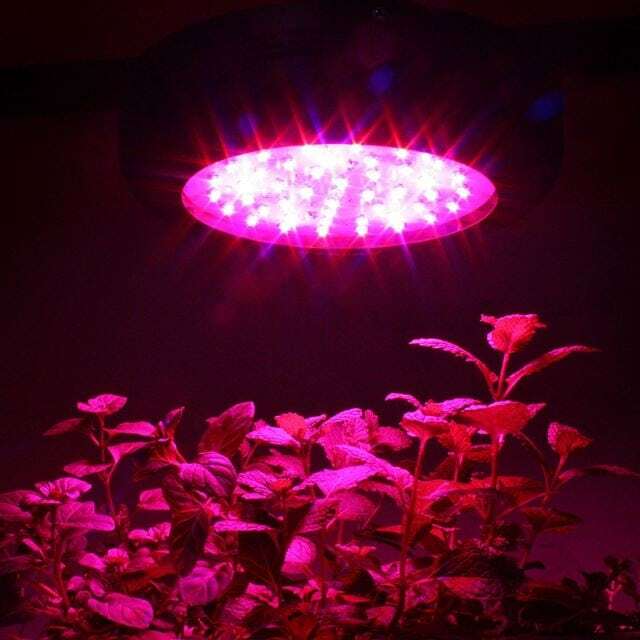 Whether you’re growing herbs, a salsa garden, cannabis, or the prettiest petunias on the block, if you’re doing it indoors, you rely on artificial lighting. And you already know that your desk lamp isn’t going to cut it. One of these round models can help boost your plant’s growth cycle without putting a strain on your wallet. You could do your own experiment over several months to see which type uses the least amount of energy while still providing enough lumens to your hungry plants. Or you could trust the numbers that are already out there. Whether you use fluorescent, HPS (High-Pressure Sodium), or HID, you’d want to make the switch to LED. LED uses far less electricity than any of the others. One of the models to really make it in the market of grow lamps was fluorescent. Not only did it offer full spectrum lighting, it also was inexpensive, and the bulbs seemed to last forever. Guess what? LED lasts even longer – up to five times longer, in fact. Although LED lights can be costlier than, say, HID (high-intensity discharge) lights, it’s only an initial investment. 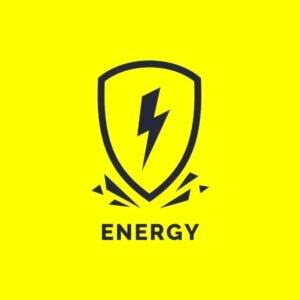 Considering your energy use would be down by 70 percent (at its highest), the LEDs are longer lasting, and there’s little chance of you losing a plant due to light burn. LEDs are still the most cost-effective choice. Regardless of what type of model you choose, you’re likely going to have issues with rays penetrating down to the lower leaves of your plants. This is another reason why so many people choose LEDs. The units are lightweight and easy to place around your plants. This is a big help with that much needed light penetration. Another great thing about LEDs is that they’re typically all broad-spectrum lighting. This means that your plants will get the proper type of light it needs to thrive, such as red and blues. This is why so many grow rooms and tents have that purple glow to them. Many LED grow bulbs offer a full spectrum of lighting, so they include UV and IR types, along with some white lighting. A full spectrum allows you to grow your plants from seedlings to the point of harvest and all you have to change is the amount of exposure for your plants get. A good reason to choose a UFO LED grower is that it produces very little heat. With such low heat output, a round LED light can be placed very close to plants, which gives your plants exposure to more intense rays. Cannabis growers found that their plants do well with intense lighting, which is why so many of the growers choose LED. Low heat also means that your grow room won’t get too hot for your indoor garden. You may not even have to run an air conditioner. It’s still a good idea to offer your plants some ventilation and maybe a few fans to help the heat dissipate. This is a small, but annoying quirk about fluorescent grow lights: that flicker. You’ll know when it’s almost time to replace those tubes because of the flicker, but with LED lights, they simply stop lighting up. But that takes a long while. When you read the lifespan of bulbs, 10,000 hours sounds like a long time, right? Really, that only equates to a little more than a year. That’s if you have the light running 24/7. If you’re using HPS lighting, you can expect about 25,000 hours. And LEDs get, on average, 50,000 hours. 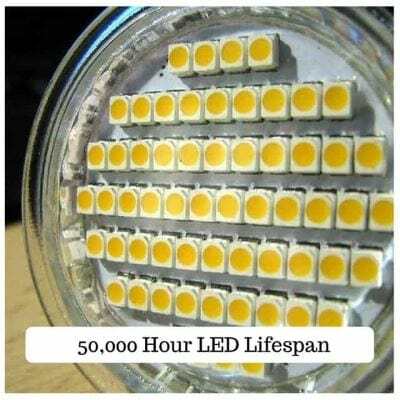 Some LEDs now offer up to 100,000 hours of lifespan. Find some of those and you’re looking at a lifespan of more than 11 years. 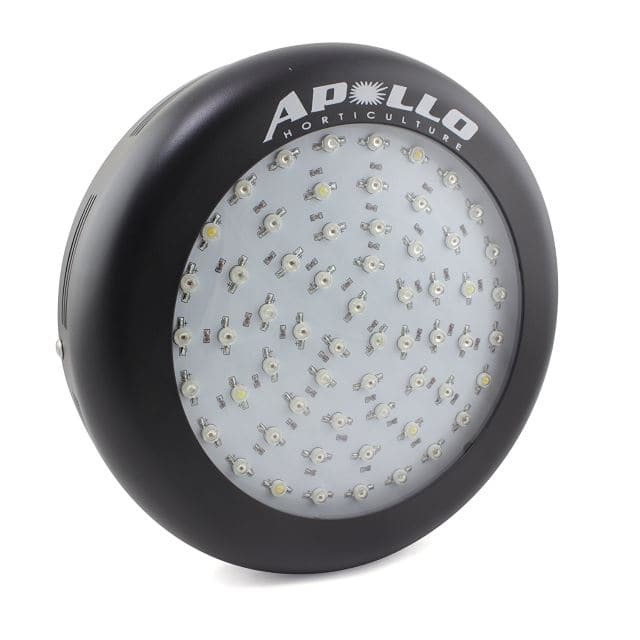 A small UFO LED grow light like this 180W one from Apollo can be used for growing just about any plant. Because it is so small, you’ll need to keep this for a 2.5′ x 2.5′ space, otherwise you won’t get enough light to all of your plants. The full spectrum of this grow lamp makes it a good choice for growing your plants from any stage of the growth cycle. The vents give the minimal heat somewhere to go, and the on-board fan pushes that heat out and away from your plants. You’ll likely hardly notice the fan, too, as it’s very quiet. 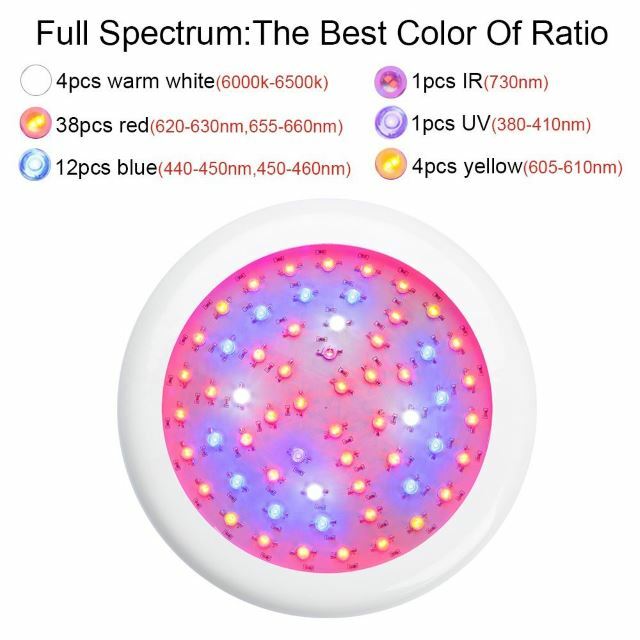 This UFO LED grow light is only 10.5 inches in diameter, so if you need to set up more, there should be plenty of room for them in your grow tent. Perhaps the biggest downside to this grow lamp is that it uses 3W chips, which many manufacturers are upgrading to 5W or 10W to maximize wattage and lumens. If all you need is a small, round grow lamp for your grow cabinet, then this could be a good light for you. 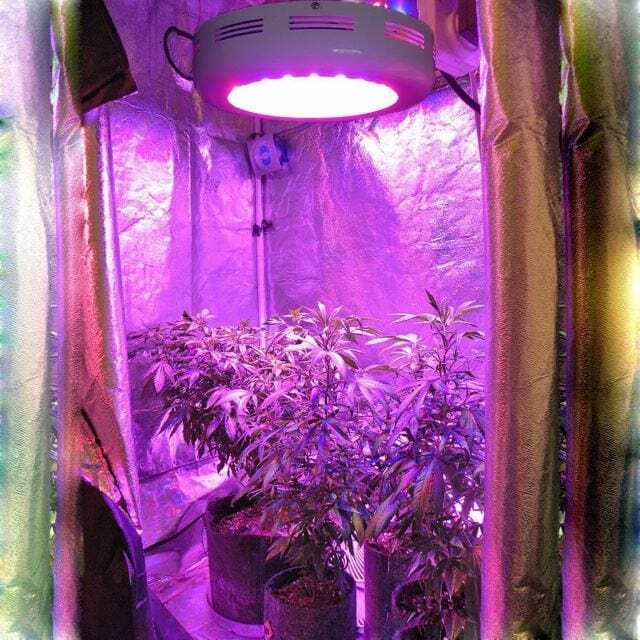 Plants that are coming inside during the winter need a little boost of artificial light to keep going when they can’t get the sunlight they need, and this 50W UFO LED grow light from Niello provides that light. 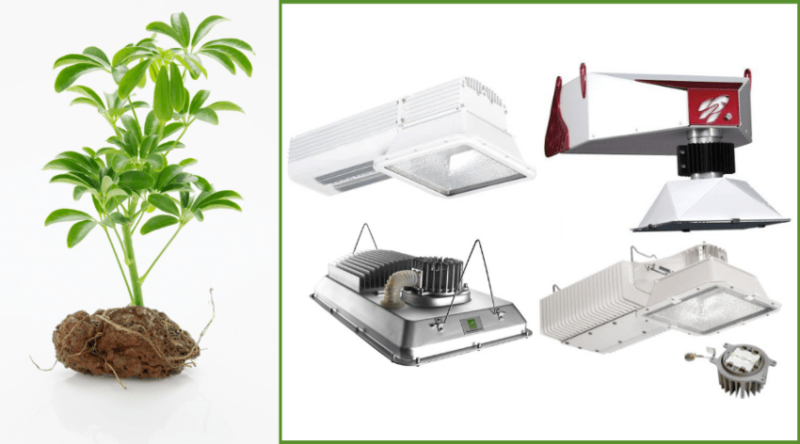 It isn’t the most powerful LED grow lamp on the market, but not every indoor gardener needs 600 watts of power for their little plants. At most, this grow light will work for a 2-foot-by-2-foot space, but it’s probably best for 1.5-foot-by-1.5-foot. That’s not a ton of space. You might notice how quietly this grow light operates because it has no fan. The light is so thin and lightweight, and the LEDs only use about 36 actual watts, so a fan isn’t necessary. 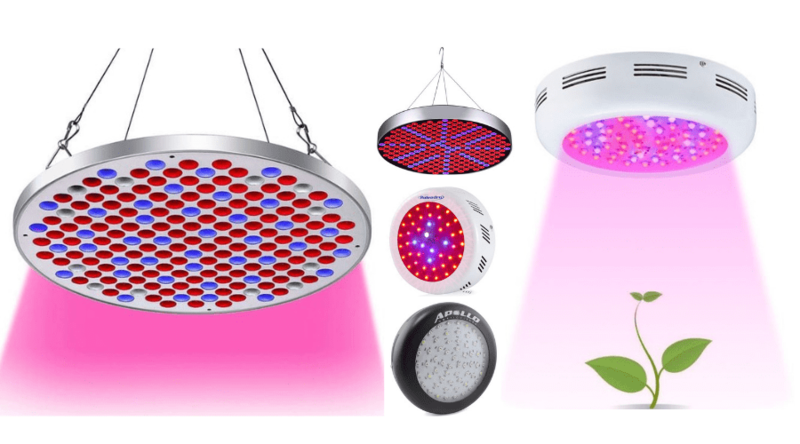 Although this UFO LED grow light offers the red, blue, and white lights your plants want and need, it’s probably best suited for the seed stage. You may want to upgrade to something more powerful for the later stages of growth. If you’re looking for an affordable, thin, lightweight grow lamp, especially for the seeding stage, this one may work well for you. One of the best uses of this Roleandro 138W UFO LED grow light is for a single plant. If you’re growing something like cat grass, wheat grass, or cannabis, this tiny round light should work well. Although you could manage it in a 2-foot-by-2-foot space, it’s probably best in an area half that size. Many have said that this adds a boost to the flowering stage for their plants, but it doesn’t do well in the veg state. It does run bright, though, and includes the types of lights your plants are thirsty for. You can even use this as an added light to your setup. Because of its small size and because it’s lighter in weight, you could use this down near the bottom leaves of your plant where the taller lights don’t penetrate to. It includes a built-in fan to cut down on any accumulated heat, and it’s fairly quiet, too. This could be a great addition to your current setup, or a good grow light for a single plant that needs some light indoors. At first glance, this UFO LED grow light looks similar to others, but this one from Shengsite sports 250 LED pieces. That means you get good coverage of light for a wide space, but it’s important to note that it’s only 50W. Even if it were 50W total on the draw, it would be a bit of a lightweight device, but you should know that the actual draw is about 34W to 36W. It isn’t going to be powerful enough to light up a whole room of plants, but it can feed artificial light to a couple of small plants in a closet or cabinet. This hanging light is thin all around, but wide, and quite lightweight. You can easily hang it above some plants and see improvement in growth, especially at the seed stage. The reason it does well for seedlings is because of the reds and blues, but this isn’t a full spectrum light. So, other stages of growth aren’t nearly as impressive under this light. 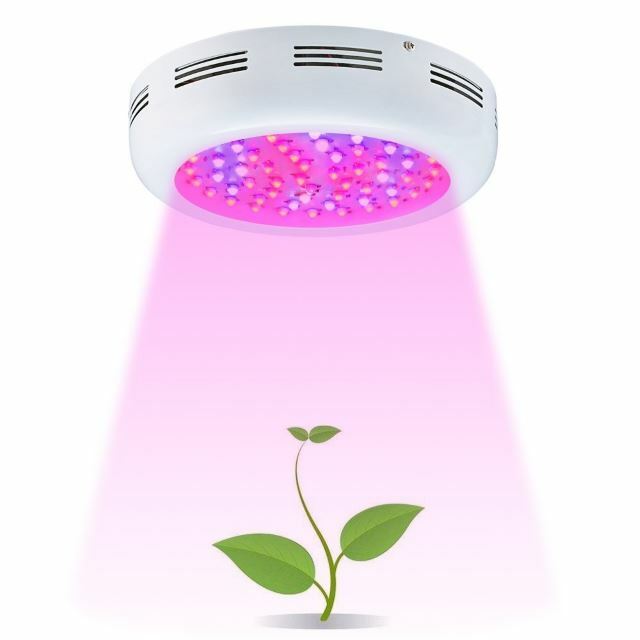 If you’re looking for good coverage for a small plant, this UFO LED grow light might work well for you. A UFO LED grow light that has 600W of power behind it like this one from King Plus should give your plants all the intense light it needs to grow big, bushy, and strong. Where King Plus gets it right is in its build, the dual 5W chips per LED (10W), the many vents, and the powerful fan to keep things cool. 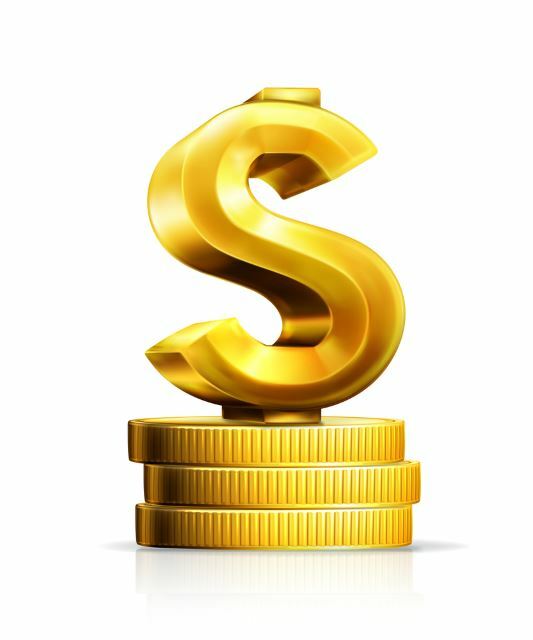 Additionally, this manufacturer offers a three-year warranty, which is one of the best in the industry. 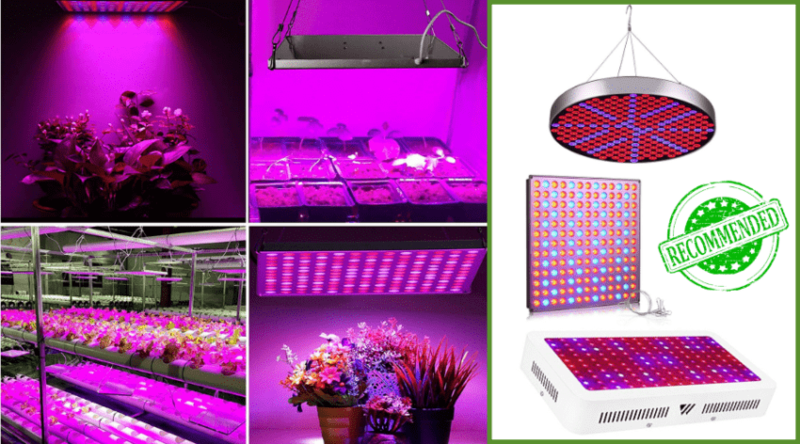 The full spectrum of light means you can use this grow light for all stages of plant growth. In spite of its small size, it can give decent coverage – up to a nearly 3-foot-by-3-foot space. However, it does better in a smaller space, for sure. While customer service lives up to its promises, it also reportedly asks for lower reviews online to be bumped up when they come through, which is a little sketchy. If your plants need a little extra oomph from a small, but powerful UFO LED grow light, this one might do the trick. If you’re in the market for the best UFO LED grow light, then you’re looking for something small, lightweight, and powerful enough to give your seedlings a boost, or to send your one or two plants into artificial light nirvana. 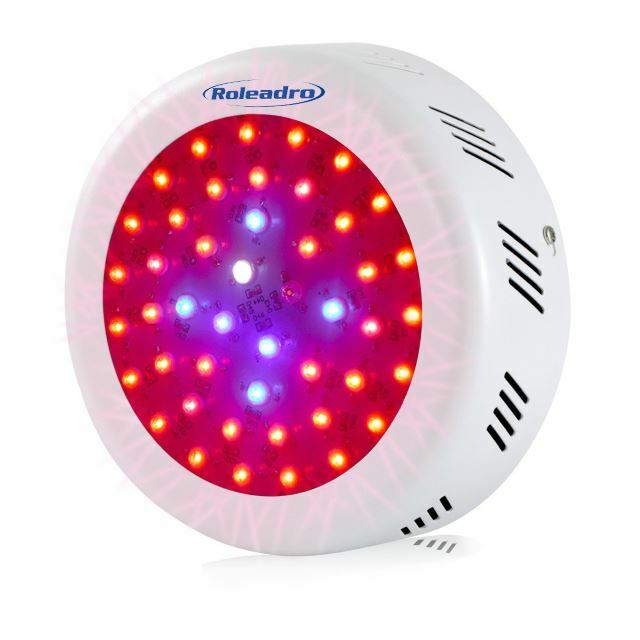 While all of the lights featured in the reviews above should do all that and more, the LED Plant Grow Lights , Roleadro 138W UFO LED Indoor Patio Plants Grow Lamp with Red Blue Spectrum Hydroponics,Plant Kit for Home Grower is probably the stand-out. For beginners, this is a good balance of power and size, and for the experts out there, this could be a great light to add on to your existing setup. 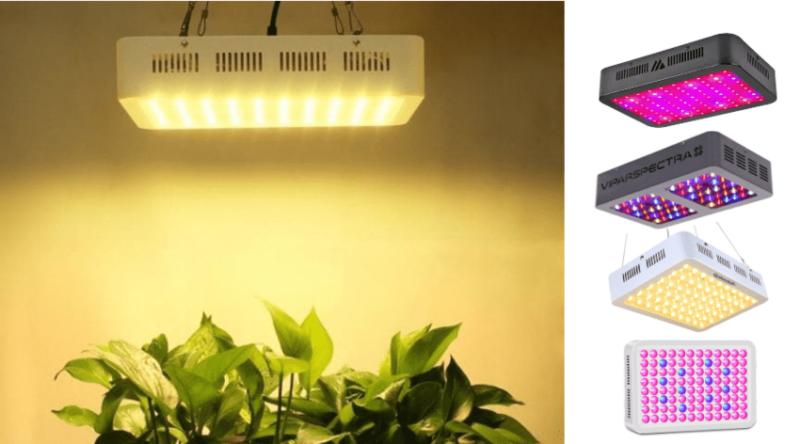 It’s a compact grow light that can easily be mounted to light lower leaves of plants to help those not getting enough light penetration from your other lights above.